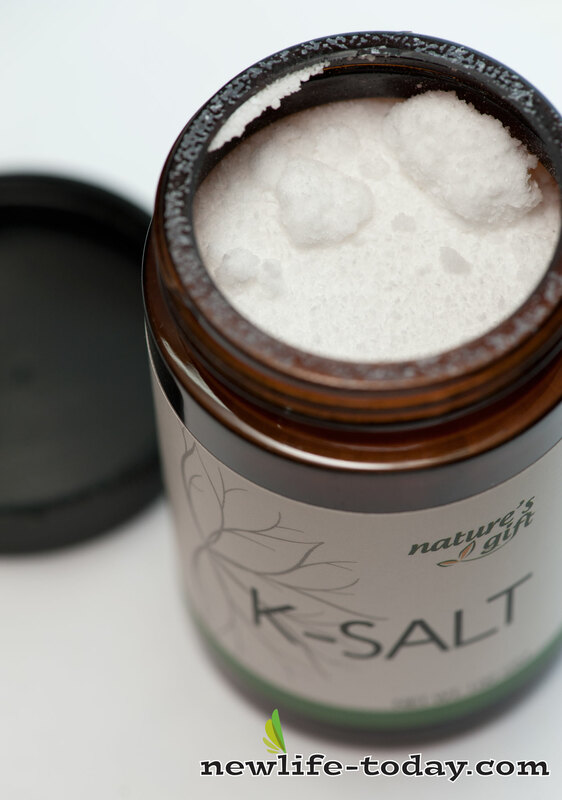 Buy this K Salt at RM 75.40 (20% off retail) when you become a member of NewLife International. Potassium (K) is predominantly found within the cell, whereas Sodium (Na) is predominantly outside the cell. Interestingly, a reciprocal relationship exists between K and Na, so that a substantial intake of one causes a corresponding decrease in the other. 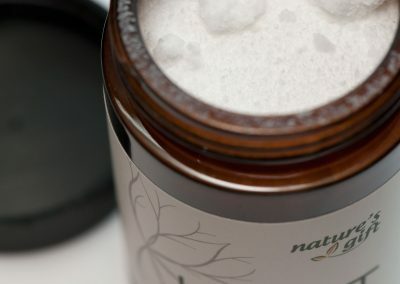 Unfortunately, modern lifestyle overloads the body system with Na through the over-consumption of salt & food seasonings, thus depleting K, causing biochemical imbalance & tissue edema, opening the door to further negative metabolic disturbances and eventually acute, chronic & degenerative diseases. To reconstruct healthy cells, we must restore the biochemical balance by removing excess Na & putting back K into our system. Reduce Na intake & supplement with K daily. For those with health problems like high blood pressure and obesity, and also children or adults with chestiness and copious phlegm, daily K supplementation is a must. It is an effective slimming agent too. It is always wise to supplement K daily to prevent onslaught of health problems. of distilled water, refrigerate and use as desired. Take ¼ teaspoon of K-Salt twice daily with a NewLife™ Organic Apple Cider Vinegar and Raw Honey for a delicious, wholesome beverage. Note: K-Salt is NOT to be used as a seasoning in cooking.